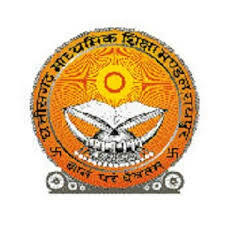 cgbse.nic.in CGBSE 12th results 2019 | Chhattisgarh Higher Secondary Class 12th Result Top 10 Merit list: Chhattisgarh Board of Secondary Education (CGBSE) has successfully conducted the Higher Secondary (Class 12th) Examinations were held in the month of March 2019. A huge number of candidates who are studying 12th standard in CG appeared for the examination which was held at various examination centers. All the candidates who had written the Chhattisgarh Board 12th exams (10+2), are eagerly waiting for know their result. CGBSE will be declared the XII Result 2019 with top 10 student list, in the month of april. Nowadays find out the board exam results are very easy one with the help of technologies. Even better now students can get their results faster and safer manner. To look out this year Chhattisgarh board of secondary education go to declare the 12th result as soon as possible. So the candidates can appear in this board exam now waiting for the results. This exam has started from 02nd March and ended with 29th March 2019. Now the students have gotten more possible ways to get their result even faster and safer. To see now many private sites are going to declare CGBSE 12th Result 2019 with faster to the students. Based on that the students have provided the necessary information to get the information correctly. Here you can give your roll number and date of birth based on that your result to be generated. Even you can go to the official site of CGBSE you have the necessary information then only you can get the desired results. To see last year the male candidates have begged for the first rank and then followed by the female students in the second position. When you compare the overall performance the girls have gotten high percentage over the boys. Students, who want to check their results first, can visit http://manabadi.com/chhattisgarh. Students who have appeared in the board examination of 12th class now eager to wait for know their results. The CG Board Class 12 Results has like to announce the class 12th result as soon as possible in the month of April, to see the last year result to be declared in 3rd week of the April itself for the first time ever. So the candidates can expect this year result in the month of May 2019. So the students have to check out the updates on the official sites or even some of the private sites are also helping to get the updates. When you check out the results even on the private sites itself because the lakhs of students checking their result at one site is not possible so that the guarantee given to some of the private sites. So the students can get results without any collision. For any kind of examination the candidates are separated by the own roll numbers based on that you can check out your results. In that way you need to enter your roll number and date of birth details in the specific fields you can see your results. Now lots of methods to be accessed by getting your result faster and safer, those things to be occurring by registering your details in the trusted sites you can get the result at the time of announcements. Even you can receive the result via SMS and email ids by registering your mobile number and email address in the registration fields. After the result declaration you can take the print out of your result, but you cannot use as the document to produce at any place. For your reference you can use it otherwise is not a valid one. Now the process of checking the results is now very easy based on that the sites can give more benefits to the students. When you see their options only the few things only you can remember to check the result like roll number and date of birth so that you can get it easy. Even the sites are promoting many more things for their future for that they will add more things under the next higher studies.